AU monthly party reborn in an all new Saturday form! It’s on the LAST Saturday of every other month. 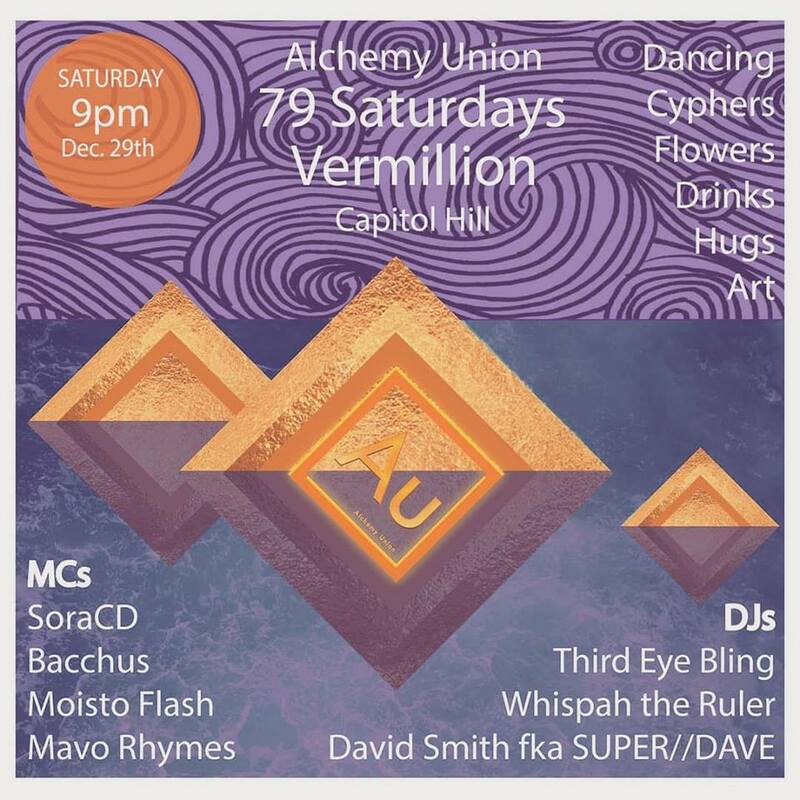 79 Saturdays is a dance party on Capitol Hill with amazing acts playing anything from hip-hop to funk to soul to trap to edm. The Vermillion is a gallery that showcases uniquely talented Artists of many disciplines including but not limited to painting, music, dance, sculpture, film, and fashion. They have a fully stocked bar and an awesome eye level stage! If you want to perform in the future, email 79saturdays@gmail.com with the name of your act and a link to a video of you performing.